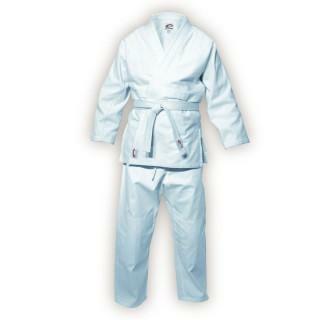 High quality uniform made of top quality woven cotton. Excellent weave of the material, reinforcements in the chest and knees areas make these uniforms extremely durable and a large offer of sizes allows to fit them to any performer. Judo and other fight arts.